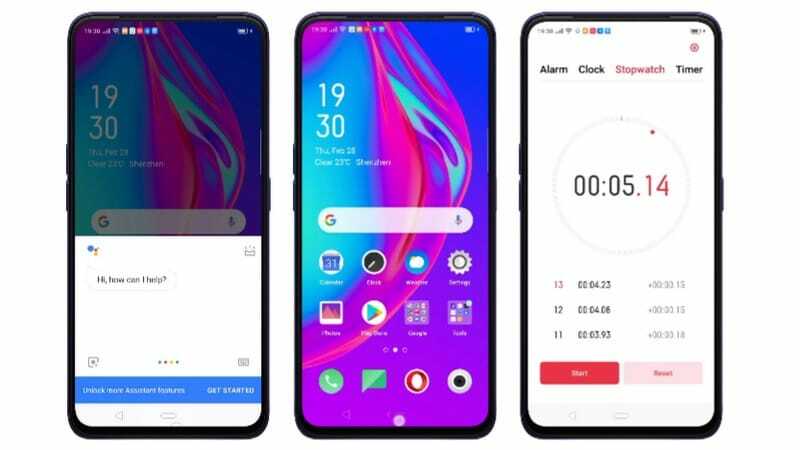 ColorOS 6 – the latest version of Oppo’s mobile operating system – was announced in November 2018 and it subsequently made its way to Oppo F11 Pro. The Chinese smartphone maker has now announced that ColorOS 6 will come preloaded on Oppo Reno Series next month and will start rolling out to a host of the company’s other smartphones later this year. Aside from revealing the update schedule, Oppo has also detailed the features that will come with ColorOS 6, such as a brand new UI design, GameBoost 2.0, and remote guard among others. The lighter aesthetics and the subtle gradient elements of ColorOS 6 – originally announced back in November last year – are here to stay. The key features of ColorOS 6’s tweaked visual identity include a decluttered layout for Settings menu with a more uniform take on lines, spacing, and paragraphs, thanks to the optimisation by a new layout engine. The icons have been refreshed with new colours and circular design, alongside a host of new wallpapers, animations, as well as a couple of new navigation gestures. Another visual change is the move towards a “full screen” design that relies more on gestures and aims to provide more screen real estate. Remote Guard, on the other hand, is a new feature that will let the guardians keep a tab on their ward’s smartphone usage, such as activating a time lock on playing a particular game or using a social media app. Aside from natively blocking fraudulent messages and spam calls, it also allows one to remotely know important metrics such as battery percentage, location, etc. With ColorOS 6, Oppo has also introduced the updated version of the HyperBoost performance enhancement feature that includes System Boost, App Boost, and Game Boost. The major upgrade here is GameBoost, which has now been updated to GameBoost 2.0 for delivering better gaming performance with more intelligent system resource optimisation. It is assisted by updated touch drivers for better touch response, alongside the FrameBoost technology to deliver higher frame rate stability, and overall improved visual rendering, especially in case of MOBA (Multiplayer online battle arena) games. Improvements to the Breeno virtual assistant, riding mode, notification bundling, and a smarter battery optimiser are among the other new features introduced in ColorOS 6. As for the availability, ColorOS 6 will be pre-installed on Oppo Reno series of smartphones, which is set to be announced in April. Oppo will then roll out the first batch of ColorOS 6 updates in the same month for the Oppo R15, R15 Dream Edition. 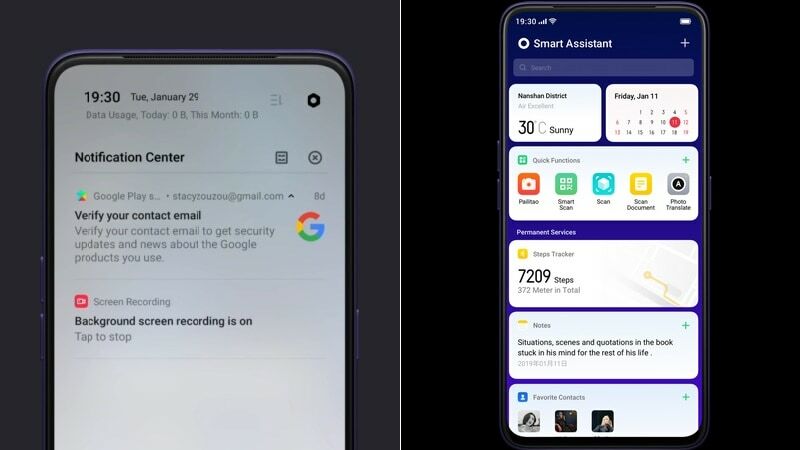 The Oppo Find X, Oppo R17, and the Oppo R17 Pro will receive the update in August, while the Oppo R11s, Oppo R11s Plus, Oppo R11, Oppo R11 Plus, Oppo A7x, and the Oppo A3 will get ColorOS 6 in September. The existing Realme-branded smartphones are also tipped to get the update, but there is no official word when the ColorOS 6 will be released for them. It is important to note here that Realme 3 already comes preloaded with ColorOS 6. Why Did Walmart Take The Unusual Step To Tackle Chemicals?